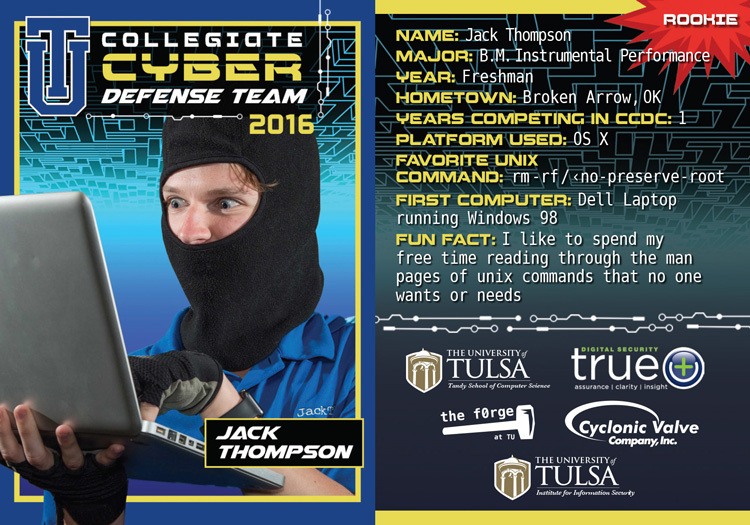 The 11th year of the National Collegiate Cyber Defense Competition has ended, congratulations to the University of Central Florida for a their third consecutive win. I hope you make it back next year for another test of your schools program and ability to transfer knowledge to new generations of blue teams. If you want to show your support for my efforts, there is an easy way to do that. I'm in San Antonio for the National Collegiate Cyber Defense Competition which starts at 10am CST 4/22/16. If you didn't know I lead the red team here at Nationals where the top 10 college teams in the country come and find out who does the best defending their network while completing business objectives. 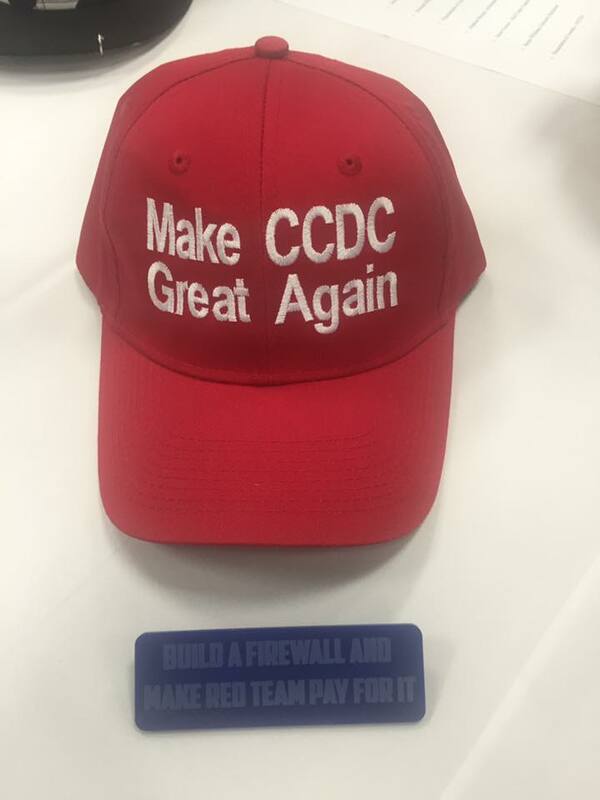 I'm hoping to follow up this post with some videos and links to what happens tomorrow, in the mean time make sure to follow #CCDC or #NCCDC on twitter to watch some of our funny business in real time. It's time to continue our series by iterating through all the partitions within a disk or image, instead of just hard coding the one. To start with you'll need another image, one that not only has more than one partition but also has shadow copies for us to interact with next. source_path="Windows 7 Professional SP1 x86 Suspect.vhd"
Believe it or not we didn't have to change much here to get it to go from looking at one partition and extracting the $MFT to extracting it from all the partitions. What we had to do was four things. 1. We moved our file extraction code over by one indent allowing it to execute as part of the for loop we first wrote to print out the list of partitions in an image. Remember that in Python we don't use braces to determine how the code will be executed, its all indentation that decides how the code logic will be read and followed. 2. Next we changed the location where our volume path specification object is set to from a hard coded /p1 to whatever volume identifier we are currently looking at in the for loop. You can see that the location variable is now set to u'/' being appended to the volume_identifier variable. This would be resolved to /p1, /p2, etc.. as many partitions as we have on the image. 3. Now that we are going to extracting this file from multiple partitions we don't want to overwrite the file we previously extracted so we need to make the file name unique. We do that by appending the partition number to the file name. This results in a file named p1$MFT, p2$MFT, and so on. To accomplish this we make a new variable called outfile which is set to the partition number (volume_identifier) appended with the file name (file_entry.name). Then we pass that the open file handle argument we wrote before. 4. One last simple change. result in very funny errors. That's it! No more code changes. In the next post we will be iterating through shadow copies! Wondering where yesterdays post is? Well, there was no winner of last weekends Sunday Funday. That's ok though because I am going to post the same challenge this Sunday so you have a whole week to figure it out! I use Komodo from Activestate as my IDE of choice when writing perl and python. I bring this up because one of the things I really like about it is the debugger it comes with that allows you to view all of the objects you have made and their current assignments. I was thinking about the layer cake example I crudely drew in ascii in a prior post when I realized I could show this much better from the Activestate Debugger. So here is what the path spec object we made to access the $MFT in a VHD looks like. I've underlined in red the important things to draw your attention to when you are trying to understand how that file path specification object we built can access the MFT and all the other layers involved. With a parent of OS type with a location of the full path to where the vhd I'm working with sits. Let's look at the same object with with an e01 loaded. Notice what I highlighted, the image type has changed from VHDI to EWF. Otherwise the object, its properties and the methods are the same. Let's do this one more time to really reinforce this with a raw/dd image. Everything else is the same, except for the type changing to RAW. So no matter what type of image we are working with dfVFS allows us to build an object in layers that permits the code that follows not to have to worry about the code behind. It is normalizing all the different image types access libraries so we can prevent things like the work around we do in pytsk. If you have been following the blow the last two weeks you would have seen its been all about dfVFS. Phil aka Random Access posted something I was thinking about on his blog, https://thisweekin4n6.wordpress.com, that I thought was worthy of a Sunday Funday challenge. In short Phil saw that I posted a video regarding how to verify dfVFS was installed correctly and there is a whole post just on installing it and mentioned that someone should automate this process. I agree Phil, and now I turn it over to you Reader, let's try out your scripting skills in this weeks Sunday Funday Challenge. Read the following blogpost: http://www.hecfblog.com/2015/12/how-to-install-dfvfs-on-windows-without.html and then write a script in your choice of scripting language that will pull down and install those packages for a user. Second the script should then run the dfVFS testing script shown in this video http://www.hecfblog.com/2016/04/daily-blog-375-video-blog-showing-how.html to validate the install. It's Saturday! Soccer Games, Birthday Parties and forensics oh my! That is my weekend, how's yous? If its raining where you are and the kids are going nuts here are some good links to distract you. 1. Diider Stevens posted an index of all the posts he's made in March, https://blog.didierstevens.com/2016/04/17/overview-of-content-published-in-march/. If you are at all interested in malicious document deconstruction and reverse engineer it's worth your time to read. 3. Harlan has a new blog up this week with some links to various incident response articles he's found interesting, http://windowsir.blogspot.com/2016/04/links.html. This includes a link to the newly published 2nd edition of Windows Registry Forensics! 4. Mary Ellen has a post up with a presentation she made regarding the analysis of phishing attacks, http://manhattanmennonite.blogspot.com/2016/04/gone-phishing.html, The presentation also links to a Malware lab. Maybe this will see more posts from Mary Ellen. 5. Adam over at Hexcorn has a very interesting write up on EICAR, http://www.hexacorn.com/blog/2016/04/10/a-few-things-about-eicar-that-you-may-be-not-aware-of/. I wasn't aware of EICAR until Adam posted about it and found the whole read fascinating. EICAR is apparently a standard file created to allow anti virus developers test their own software and as Adam discusses others have made their own variations. 6. In a bit of inception posting, Random Access has a weekly reading list of his own on his blog. This is his post from 4/10/16, https://thisweekin4n6.wordpress.com/2016/04/10/week-14-2016/. He does a very good job covering things I miss and frankly I should just be copying and pasting his posts here, but I think that's looked down on. So Phil, if you are reading this. Do you want to post here on Saturdays? That's all for this week! Did I miss something? Post a link to a blog or site I need to add to my feedly below. This is a first for me, I've created a video blog today to show how to verify and test that your dfVFS installation was successful in Windows. In our last entry in this series we took our partition listing script and added support for raw images. Now our simple script should be able to work with forensic images, virtual disks, raw images and live disks. Now that we have that working let's actually get it to do something useful, like extract a file. The first thing I changed was what image I'm working from back to stage2.vhd. At this point though you should be able to pass it any type of supported image. Next after the code we first wrote to list out the partitions within an image we added a new path specification layer to make an object that points to the first partition within the image. You can see we are using the type of TSK_PARTITION again because we know this is a partition but the location has changed from the prior type we made a parition path spec object. This is because our prior object pointed to the root of the image so we could iterate through the partitions and the new object is referencing just the 1st partition. Next we make another path specification object that build on the partition type object. Here we are creating a TSK object and telling it that we want it to point to the file $MFT at the root of the file system. Notice we didn't have to tell it the kind of file system, offsets to where it begins or any other data. The resolver and analyzer helper classes within dfVFS will figure all out of that out for us, if it can. In tomorrows post we will put in some more conditional code to detect when it can in fact not do that for us. So now that we have a path spec object was a reference to a file we want to work with let's get an object for that file. The resolver helper class OpenFileEntry function takes the path spec object we made that points to the $MFT and if it can access it will return an object that references it. Next we are going to gather some data about the file we are accessing. First we used the GetStat function available from the file entry object to return information about the file into a new object called stat object. This is similar to running the stat command on a file. MFT's don't have Inodes this is actually the MFT record number but the concept is the same. We are calling the stat_object property ino to access the mft record number. You could also access the size of the file, dates associated and other data but this is a good starting place. Next we want to print the name of the file we are accessing. The file_entry object property contains the name. This is much easier than with pyTsk where we had to walk a meta sub object property structure to get the file name out. Notice two things. One we are using the file_entry.name property directly in the open file handle call, this means our extracted file will have the same name as the file in the image. Two we are passing in the options wb which means that the file handle can be written to, and when it is written to should be treated as a binary file. This is important in Windows systems as when you write out binary data any new lines could be interpreted unless you pass in the binary mode flag. We do that by calling the GetFileObject function from the file_entry object. This is giving us a file object just like extractFile that normal python functions can read from. The file handle is being stored in the variable file_object. Now we need to read the data from the file in the image and then write it out to a file on the disk. First we need to read from the file handle we opened to the image. We are going to do that for 4k of data and then enter a while loop. The while loop is saying as long as there is data being read from the read call to file_object to keep reading 4k chunks. When we reach the end of the file our data variable will contain a null return and the while loop will stop iterating. While there is data the write function on the extractFile handle will write the data we read and then we will read the next 4k chunk and iterate through the loop again. Lastly for good measure we are going to close the handle to both file within the image and the file we are writing to on our local disk. In future posts we are going to access volume shadow copies, take command line options, iterate through multiple partitions and directories and add a GUI. Lot's to do but we will do it one piece at a time. In our last post I expanded on the concept of path specification objects. Now let's expand the support of our dfVFS code to go beyond just forensic images and known virtual drives to live disks and raw images. Why is this not supported with the same function call you ask? Live disks and raw images do not have any magic headers that dfVFS can parse and know what it is dealing with. So instead we need to add some conditional logic to help it know when to test if what we are working with is an image or a raw disk. after getting a volume object was to get a file system object. Resolver is doing this for us. rawGlobalPathSpec function that creates a special path specification object for raw images. We are now ready to deal with a raw image aka a dd image or live disk/partition. First we are going to change the conditional logic around our type indicator helper function call. images (forensic image, raw image, unkown types) so we need to put in some conditional testing to deal with it. sure when this would happen but its prudent to check for. If this condition were to occur we are calling the built in raise function to call a 'RunTimeError' printing a message to the user that we don't support this type of media. The second check is what we saw in the first example, there is one known type of media stored within this image. You can tell we are checking for 1 type because we are calling the length function on the type_indicators list object and checking to see if the length is 1.We are going to use what is returned ( refers to first element returned in the list contained within type_indicators) and create our path_spec object for the image. One thing does change here and that is we are no longer giving what is returned from the NewPathSpec function into a new variable. Instead we are taking advantage of the layering described in the prior post to store the new object into the same variable name knowing that the prior object has been layered in with the parent being set to path_spec. Only two more changes and our script is done. Next we need to check to see if there are no known media format stored in type_indicators. We do that by checking to see if nothing is stored inside of the variable type_indicators using the if not operator. This basically says if the type_indicator variable is null (nothing was returned from the function called to populate it) run the following code. There are two things that code is going to do if there is no type returned, indicating this is possibly a raw image. The first is to call the resolver helper class function OpenFileSystem with the path_spec object we have made. If this is is successful that we are creating a new path specification object and manually setting the type of the object we are layering on to be TYPE_INDICATOR_RAW or a raw image. Last change we make is taking that new raw image path specification and making it work with the other dfVFS functions that may not explicitly work with a raw image object. We do that be calling the raw function's RawGlobPathSpec function and passing it two objects. The first is the file system object we made in the section just above and the second is the raw_path_spec object we made. The RawGlobPathSpec object is then going to bundle those objects up and if it is successful it will return a new path specification object that the rest of the library will work with. We then test the glob_results variable to make sure something was stored within it, a sign it ran successfully. If there is in fact an object contained within it we assign it to our path_spec variable. Tomorrow we continue to add more functionality! In this short post I want to get more into the idea of the path specification object we made in the prior part. If this post had a catch title it would be zen and the art of path specification. In the prior post, part 1 of the series, we made three path specification objects. I described path specification objects as the corner stone in understand dfVFS which I believe to be true. What I didn't point out is that the path specification objects in that first example code where building on top of themselves like a layer cake. Let's take a look at the three objects we created again. If you were to look carefully you would notice there are a couple of differences between the calls to the NewPathSpec function. the calls to the NewPathSpec function. we are working with a partition. are the path specification objects created prior. to get dfVFS to work with. the file system layer. This is very similar to how we built our objects in pyTSK. Daily Blog #371: Sunday Funday 4/10/16 Winner! Another challenge has been answered by you the readership. This week our anonymous winner claims a $200 Amazon Gift card for showing what the impact of installing and running PowerForensics is. You too can join the ranks of Sunday Funday winners and I think I'm going to do something special for all past and future winners so everyone can know of your deeds. The term Forensically Sound has a lot of vagueness to it. Let's get rid of the ambiguity regarding what changes when you run the PowerForensics powershell script to extract the mft from a system. Explain what changes and what doesn't from executing the powershell script to extracting the file. This answer is based on the assumption that you are not connecting to the target system via F-Response or a similar method and that you are running the PowerForensics PowerShell script directly on the target system. This also assumes that the PowerForensics module is already installed on the system. When the powershell script is executed, program execution artifacts associated with PowerShell will be created. These artifacts include the creation of a prefetch file (if application prefetching is enabled), a record in the application compatibility cache (the exact location/structure of which depends on the version of Windows installed), a record in the MUICache, and possibly a UserAssist entry (if the script was double-clicked in Explorer). In addition, event log records may be created in the Security event log if process tracking is enabled. Installing the PowerForensics powershell module will result in different artifacts depending on the version of Powershell installed on the target system. If the Windows Management Framework version 5 is not installed on the target system, the PowerForensics module can be installed by copying the module files to a directory in the PSModulePath. Using this method will result in the creation of new files in a directory on the target system, which brings with it the file creation artifacts found in NTFS (e.g. $MFT record creation, USNJrnl record creations, parent directory $I30 updates, changes to the $BITMAP file, etc.). If the Windows Management Framework version 5 is installed, the Install-Module cmdlet can be used to install. This may require the installation of additional cmdlets in order to download/install the PowerForensics module, which would result in additional files and directories being created in a directory in the PSModulePath. Since the script uses raw disk reads to determine the location of the $MFT on disk, it should not impact the $STANDARD_INFORMATION or $FILE_NAME timestamps of the files being copied. If you watched the Forensic Lunch Friday you would have heard us talking to Jared Atkinson about PowerForensics, his DFIR framework all written in Power Shell. Let's see what your determination of its forensic soundness is in this weeks Sunday Funday challenge. It's Saturday! I'm excited to post my first Saturday Reading in almost two years!. While I get to work on seeing whats changed in the world of rss feeds and twitter tags since I last did this, here is this weeks Saturday Reading! 1. We had a great forensic lunch this week. We had Jared Atkinson talking all about how to do forensics on a live system or mounted image with his Powershell framework PowerForensics. Reminder I'm up for voting in another category as well! 2. Adam over at Hexacorn is continuing to update his tool DeXRAY which can examine, extract and detail information about the malware that 20 different anti virus products. If you've ever been frustrated that the very thing you need to analyze is being withheld by an anti virus products quarantine this should help. 3. On the CYB3RCRIM3 blog there is a neat post covering the basic facts and a judges ultimate opinion regarding a civil case that involved the Computer Fraud and Abuse Act (CFAA). While there are alot of criminal cases out there that have CFAA charges there are few civil CFAA cases that I know of, outside of the ones I've been involved in. 4. Harlan has a new post up on his blog Windows Incident Response. It covers some new WMI persistence techniques he's seen used by attackers in the wild. Not only does Harlan link to a blog he wrote for SecureWorks on the topic but he also linked to a presentation written by Matt Graeber from Mandiant. 5. Also on Harlan's Blog he's let us know that the 2nd version of Windows Registry Forensic is out! Did I miss something? Let me know in the comments below! What a great Forensic Lunch today with Jared Atkinson talking all about how to do forensics on a live system or mounted image with his Powershell framework PowerForensics. Today we begin again with a new Automating DFIR series. The last time we started this series (you can read that here http://www.hecfblog.com/2015/02/automating-dfir-how-to-series-on.html) we were using the pytsk library primarily to access images and live systems. This time around we are going to restart the series to the first steps to show how to do this with the dfVFS library which makes use of pytsk and many, many other libraries. In comparison to dfVFS pytsk is a pretty simple and straightforward library, but it does have its limitations. dfVFS (Digital Forensics Virtual Filesystem) is not just one library, its a collection of DFIR libraries with all the glue in between so things work together without reinventing the wheel/processor/image format again. This post will start with opening a forensic image and printing the partition table much like we did in part 1 of the original Automating DFIR with pytsk series. What is different is that this time our code will work with E01s, S01s, AFF and other image formats without us having to write additional code for it. This is because dfVFS has all sorts of helper functions built in to determine the image format and load the right library for you to access the underlying data. When I got my new machine setup I realized that a couple new libraries were not included in the original post so I updated it. If you followed the post to get your environment setup before yesterday you should check the list of modules to make sure you have them all installed. Second on my system I had an interesting issue where the libcrypto library was being installed as crypto but dfVFS was calling it as Crypto (case matters). I had to rename the directory under \python27\lib\site-packages\crypto to Crypto and then everything worked. If you want to make sure everything works then download the full dfvfs package from github (linked in the installing dfvfs post) and run the tests before proceeding any further. But the easier to read and smaller pytsk example is much more limited in functionality to what the dfVFS version can do. On its own our pytsk example could only work with raw images, our dfVFS example can work with multiple image types and already has built in support for multipart images and shadow copies! Here we are just importing in two standard python libraries. Sys for default python system library and logging which gives a mechanism to standardized our logging of errors and information messages that we can tweak so we can give different levels of information based on what level of logging is being requested. identifiers to the values that the underlying libraries are expecting or returning. object we need to pass to the right helper function to access the forensic image. This helper library is create a pytsk volume object for us to allow us to use pytsk to enumerate and access volumes/partitions. without issue and without changing any code other than the name of the file. variable we made in the line above. any easier to read and I'm giving you an image that will work correctly with this code. In future blog posts we will put in the logic to detect and report such errors. a forensic image we can create a path_spec object for the partitions contained within it. telling it to open it. and store the result in the volume_identifier variable. Our last line of code is checking to see if a volume_identifier was returned, if it was then we will append it to our list of volume_identifiers we initialized prior to our for loop. partitions/volumes. We do that by doing a for loop over our volume_indetifiers list. storing the returned object in the volume variable. and hex) and lastly how large the volume is. As crazy as it sounds, I've missed doing daily blogs. It forced me to keep looking, reading and thinking about new things to write about and do. The forensic lunch podcast is still going strong and is not going away but that is more me leaning on others in the community to talk about what they are doing and less about forcing myself to document and share my own research. So with that in mind, let's set our schedule for this blog. This year you can expect more blogs about new artifacts, old artifacts, triforce, journal forensics, python programming for DFIR and more. Otherwise, get involved! Leave comments, tell your friends about the blog/podcast, send me a tweet, drop me an email (dcowen@g-cpartners.com) it's always more fun when we all talk and work together. Windows 10 is out, OSX keeps getting updated with new features, Ubuntu is running on Windows, iOS and Android keep getting more interesting and so much more is out there to be researched! So with it being Wednesday let's get into our first topic which leads into my next planned blog posts. If you read the blog last year you would have seen a series of blogs under the series title, Automating DFIR. If you noticed, I stopped after part 13 and haven't continued the series since. There is a reason for this and the reason is not because I got tired of writing about it. Instead I hit the wall that required us to use DFVFS in Triforce; Shadow Copies and E01s. Libvshadow is an amazing library but as a standalone library it requires a raw disk image or a live disk, it does not support other forensic image formats directly. I looked into ways around this by reading the Plaso code and seeing what glue they were using to shape the object and the super classes in such a way that the libewf object would work with libvshadow but I realized in doing so that I was just creating more problems for myself that were already solved. DFVFS (Digital Forensics Virtual Filesystem) was created to solve all the known issues with all the different image formats and libraries that need to access them as framework and wrapper that allow all of these things to work together. Now DFVFS is more than just shadow access in E01s, it provides a wrapper around all of the forensic image and virtual disk formats that Metz's libraries support in a way that means you can write one piece of code to load in any disk type rather than writing 5 functions to deal with each image format and it's care and feeding. I initially was worried about using DFVFS in the blog because of the effort that it appears to take to get it up and going. However, with 13 blog posts already out there showing how to make pytsk work for simple solutions I think it's time to switch gears and libraries to allow us to accomplish more interesting and complicated tasks together with DFVFS directly. So with that in mind your homework dear reader is to read this post: http://www.hecfblog.com/2015/12/how-to-install-dfvfs-on-windows-without.html and be prepared for tomorrows first post showing how to work with this amazing collection of libraries.